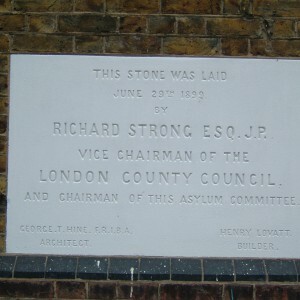 The London county council’s next asylum was to serve the south eastern districts. 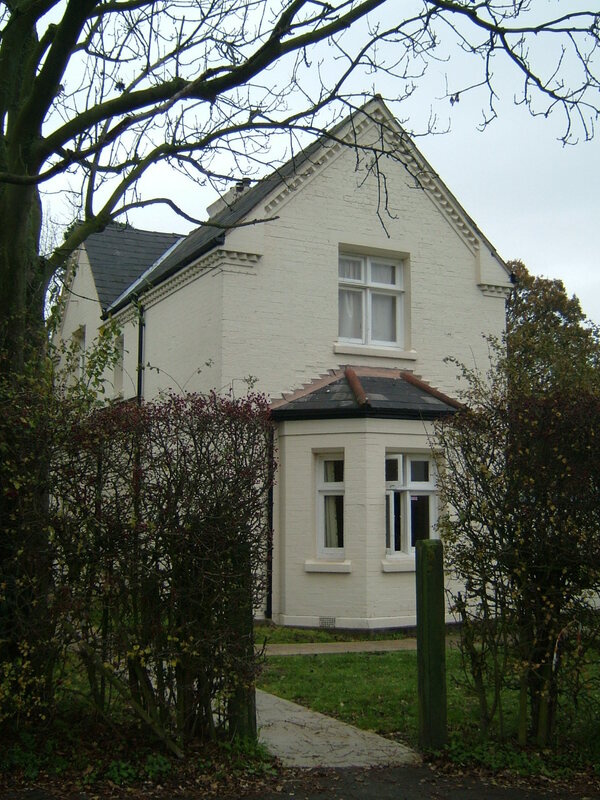 Following the lessons learnt from taking on the Claybury site, attempts were made to provide a solid, economical asylum whilst retaining as many of possible of Claybury’s advantages. 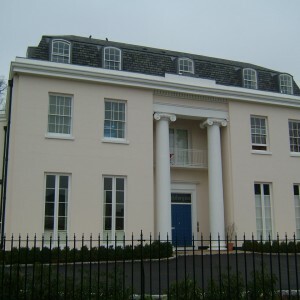 A site at Dartford heath, was selected in the form of Baldwyn’s Park, formerly the home of Sir Hiram Maxim with the council once again utilising an existing estate on which to erect their asylum. As at Claybury, the increasingly successful George Hine was architect of the new building for 2,500 inmates. 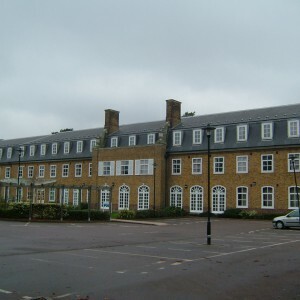 The Heath asylum, as it was initially known was constructed on a variation of the compact arrow plan – in this case the peripheral wards were joined not only by service corridors, but also to each other allowing greater freedom and ease of access for staff, particularly on the upper floors. Principal access to the site was from the lane to the north, via entrance and exit gateways guarded by a gatehouse with two lodges either side. To the west of the main drive stood a large house for the superintendent, known as Baldwyns Manor, with the Steward’s residence (North house) to the east. The administration block, at the north of the main complex was flanked by male and female work areas; the works department/boiler house and laundry/drying ground, respectively. 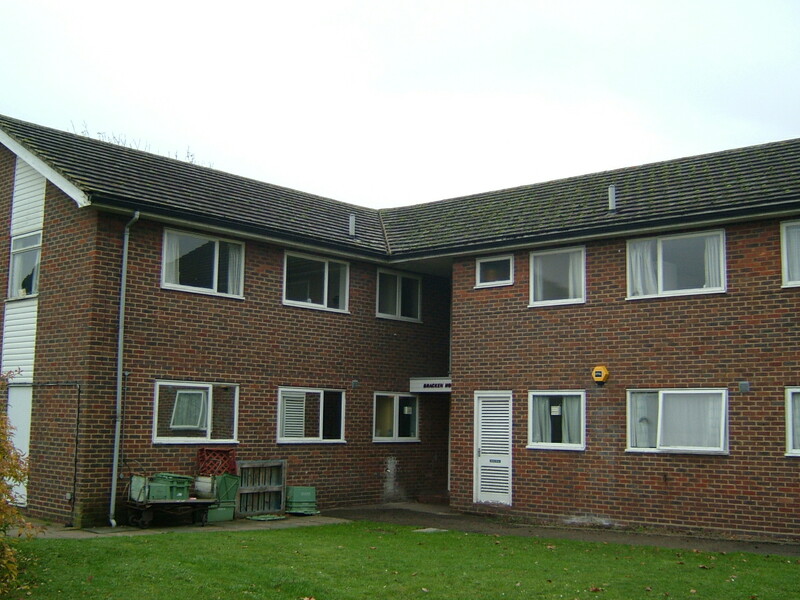 Running on a central spine, southwards from administration were placed the main stores, kitchens, recreation hall and a three storey block containing medical officers flats overlooking a small garden. 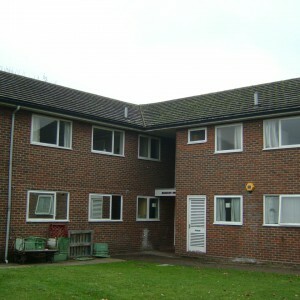 Either side of the central services stood the patients accommodation blocks, accessible from the semi-circular corridor. 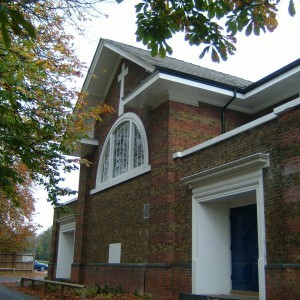 Blocks for domestic staff were located either side of the recreation hall. Within the extensive and attractive grounds were located villas for working, chronic patients; one provided for males (Elmdene) and two for females, one of which comprised of the original mansion (Woodlands and Mansion villas). A small hospital for recent acute patients (Ferndale) and an isolation unit were also provided. 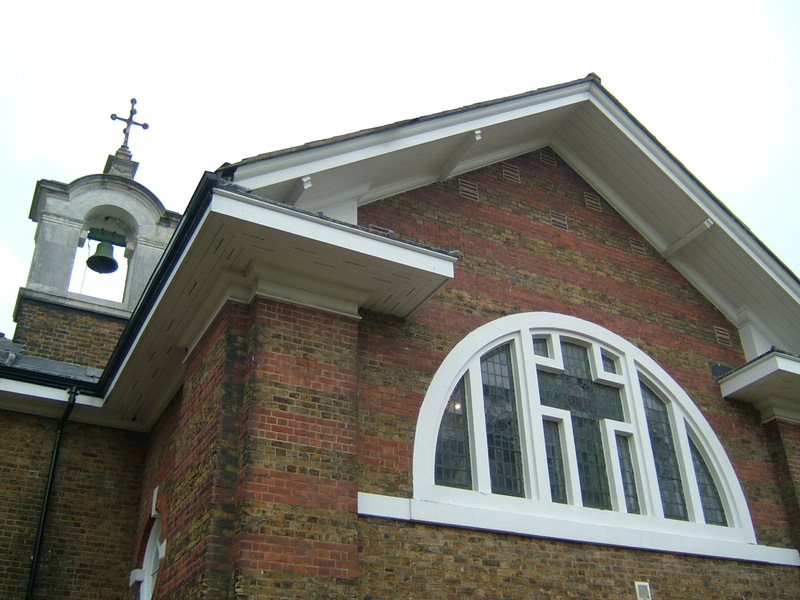 The chapel, north of the male accommodation was detached from the main building and unusual in it’s neo-Georgian styling. 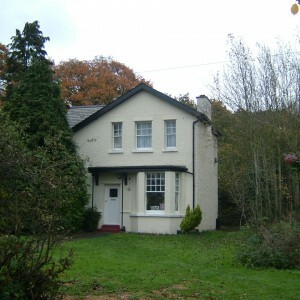 The farm and bailiffs residence were located at the far east and also accessible via a separate drive. At the very south-western corner of the estate was placed a burial ground, provided for pauper burials. 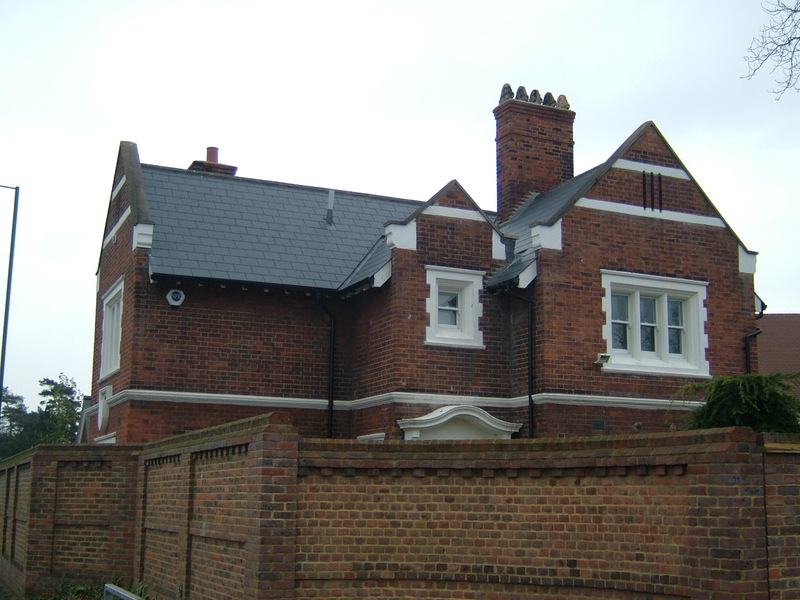 The style of buildings marked a considerable departure from those of Claybury, mostly yellow stock brick being used and red only as decorative banding, the exception being the superintendent’s house and lodge cottages which were entirely red brick. 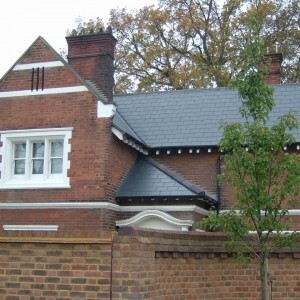 Once again concrete lintels, multiple paned sash windows and welsh slate roofing were used, but with a distinct absence of bay windows and a much shallower pitch to the roofs. 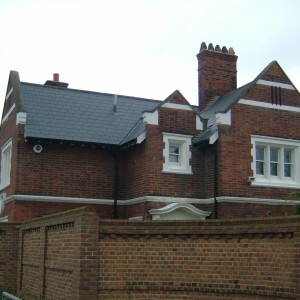 The water tower was also simple in appearance aside from the peaked roof surrounded by a battlemented parapet, the latter effect being continued on the conjoint chimney. 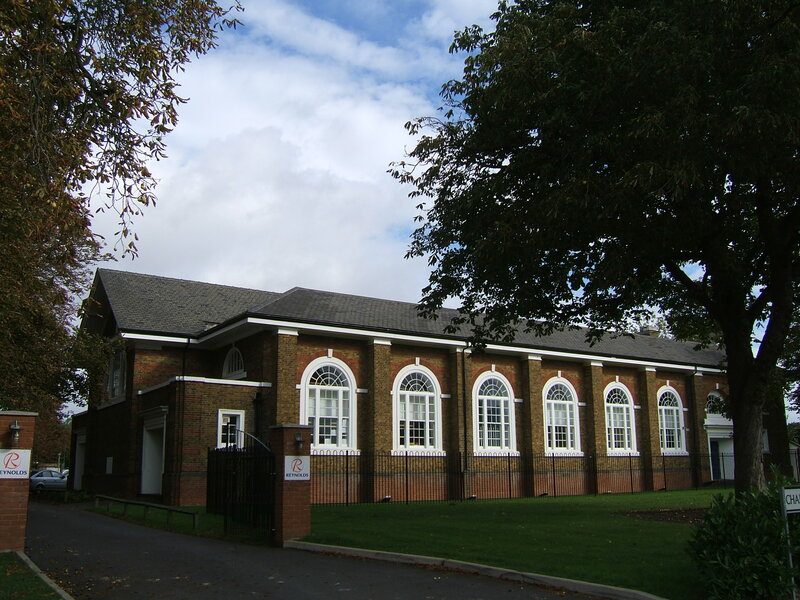 The long low administration block was decorated through the use of red brick mock-columns, dividing the frontage and a port-cochere and dutch gable occupying the central portion. The working villas took the form of detached residences with arcaded frontages at ground floor level. 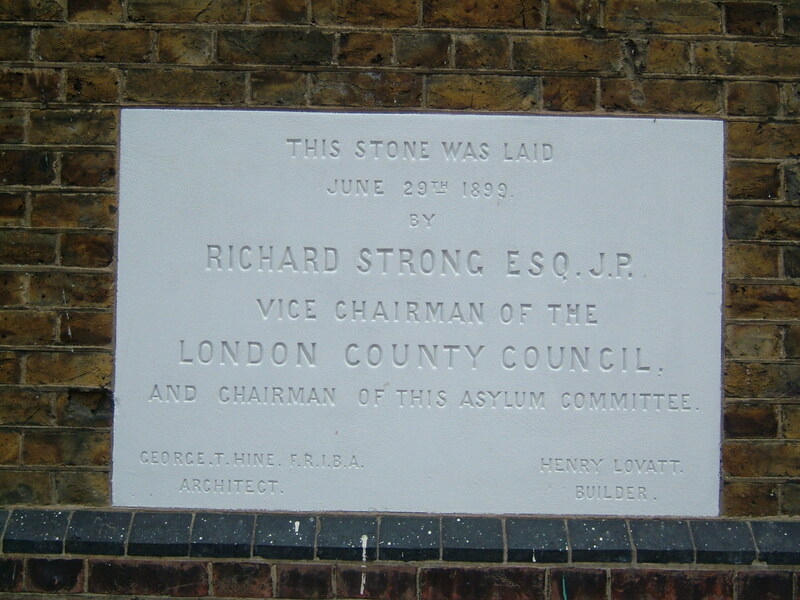 By 1904, the London county council decided to rename the Heath asylum and despite local protests it became known as the Bexley asylum. 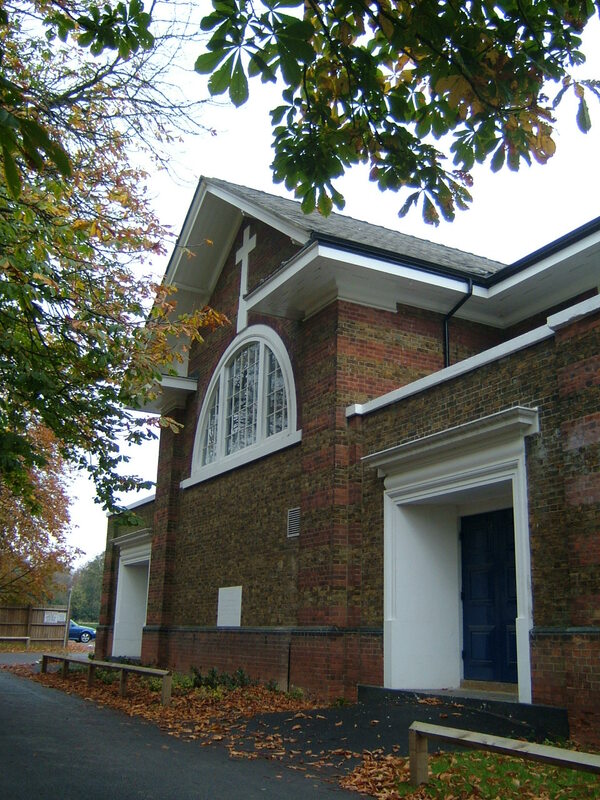 An acute hospital block for males (Maplehurst) was constructed between the Chapel and Isolation hospital, allowing the original to be used solely for females. A larger farm bailiff’s house was also constructed at this time, west of the existing one. 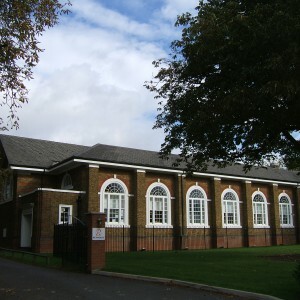 During World War I, Bexley was placed pressure as Horton asylum at Epsom was emptied for use by the military, as well as other spaces similarly vacated at other institutions. 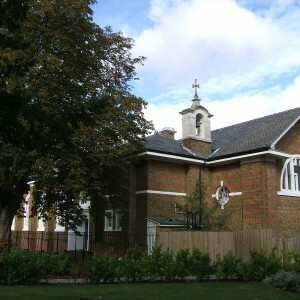 Once peace resumed, Bexley, in common with other London institutions and those throughout England and Wales, dropped the term asylum in favour of mental hospital. 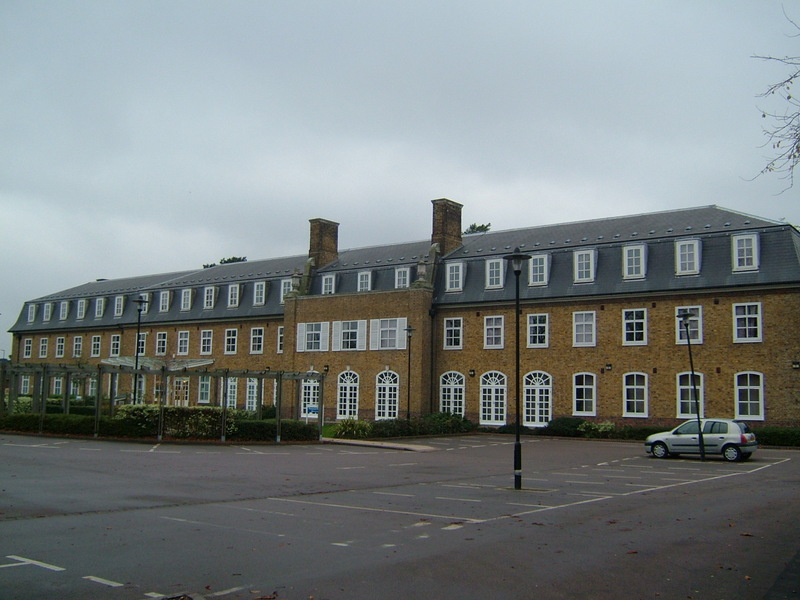 Few additions were made to the hospital in the run up to WWII with the exception of a large nurse’s home (Pinewood) opposite administration and a sanatorium block (Ashdown) for patients suffering from Tuberculosis. 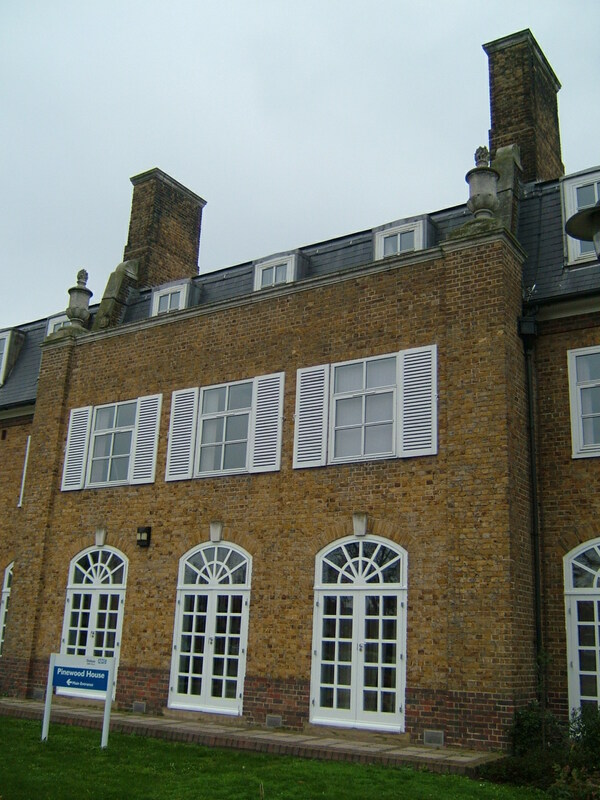 Under the National health service, Bexley hospital continued to provide for the south-east of London, with the catchment area being extended to take in Bexley itself, formerly within the county of Kent. Modernisation at the hospital led to the remodeling of the main gate, which was opened up and central gatehouse demolished. 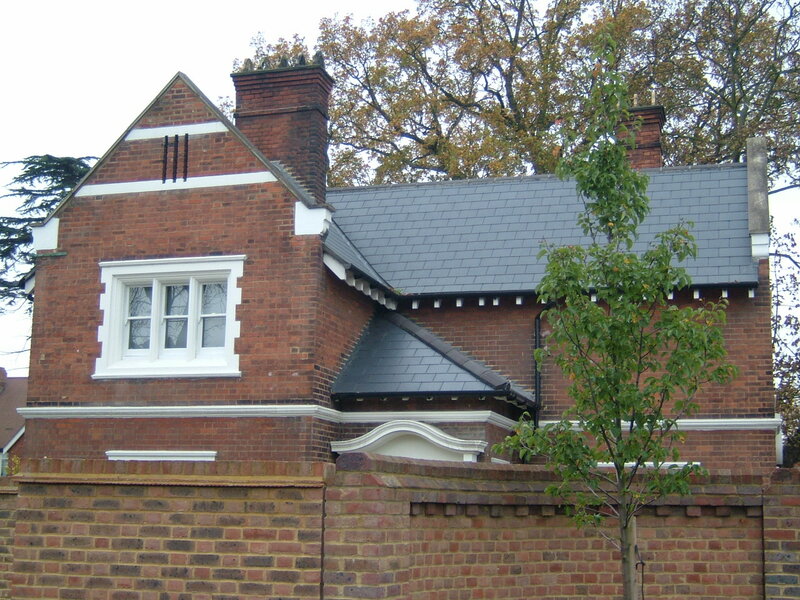 A new patient’s social centre was built within the laundry drying ground, with a similar sports and social club house for staff close to the mansion. 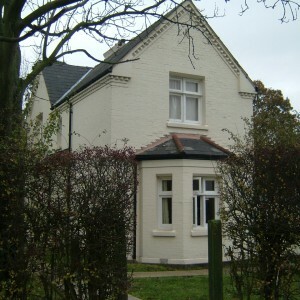 The mansion itself, was refurbished in 1956 and became home to the occupational therapy department. 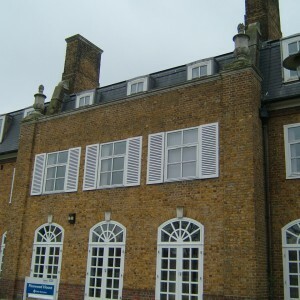 The isolation hospital was converted for industrial therapy use. 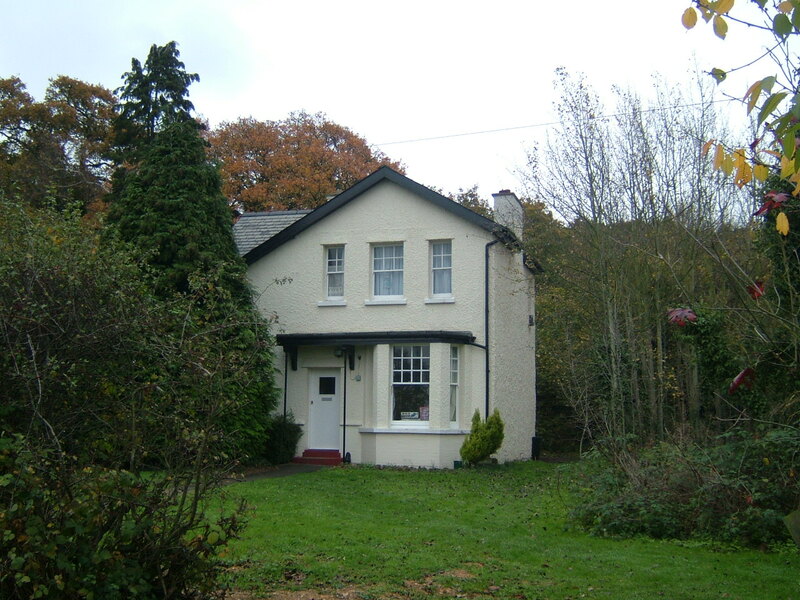 A large detached house, Broomhills, opposite the hospital’s main entrance was adapted for use as a therapeutic community, later relocated to Baldwyn Manor. 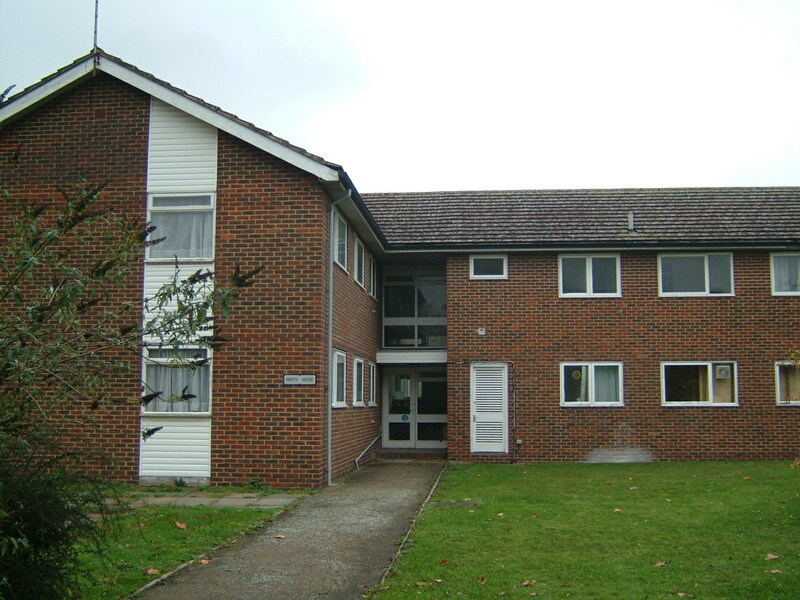 During the 1970’s, new developments included four new staff accommodation blocks; Heath and orchard houses either side of North house which had also been adapted as staff accommodation, Sycamore and Bracken houses, close to Maplehurst villa. Sectorisation of wards and patients according the different district health authorities broke down the original male and female separation of the hospital. The Camberwell unit was sited near Ashdown and a prefabricated nurse training centre was erected on the northern portion of the laundry drying ground. 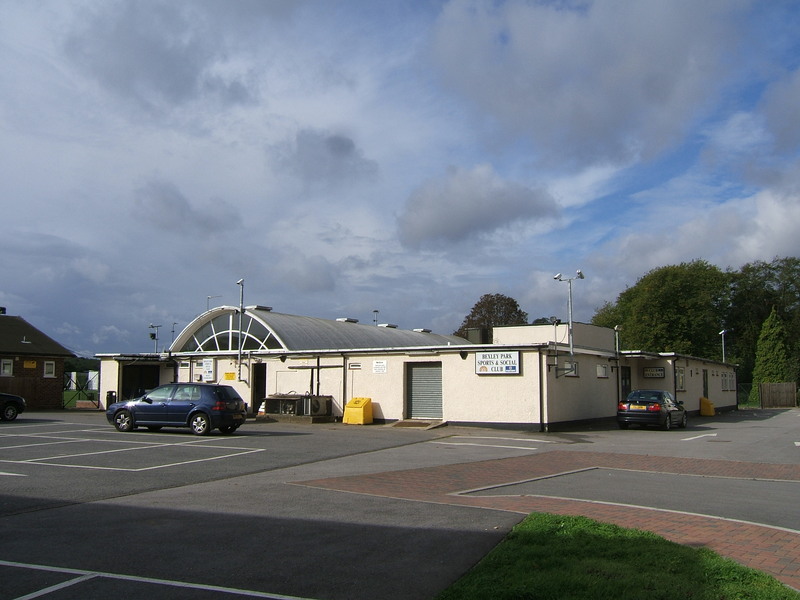 One of the final new additions was the Bracton centre, built close the the long closed farm. 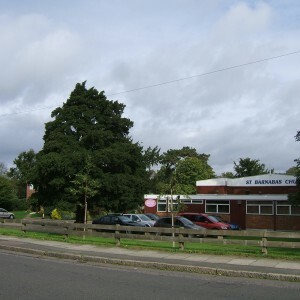 In common with other mental hospital, Bexley hospital began to wind down during the late 80’s/early 1990’s with a policy of retraction from the outlying villas and western ward blocks, scaling down facilities to the former male ward blocks and buildings in the north-east of the site and allowing the demolition of the female wards and central services buildings and hall around 1995-6. 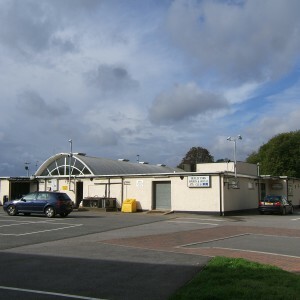 The area surrounding the Bracton centre and Bracken/Sycamore houses was also redeveloped to provide replacement units for units remaining on site. The remaining buildings of the main hospital were demolished soon after closure, which was marked by the demolition of the water tower. 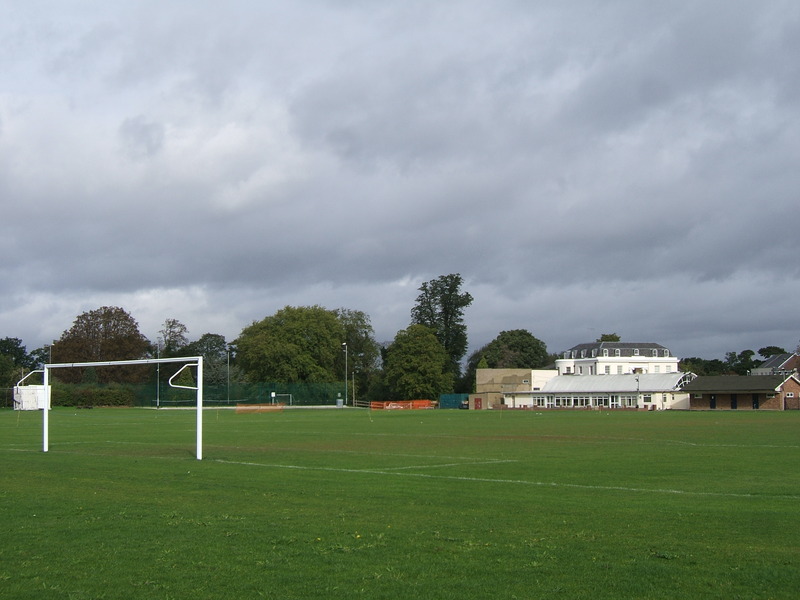 The majority of buildings have been demolished, including the entire main complex which has been entirely replaced by new housing, as have Ferndale, Woodlands and the former superintendent’s residence. 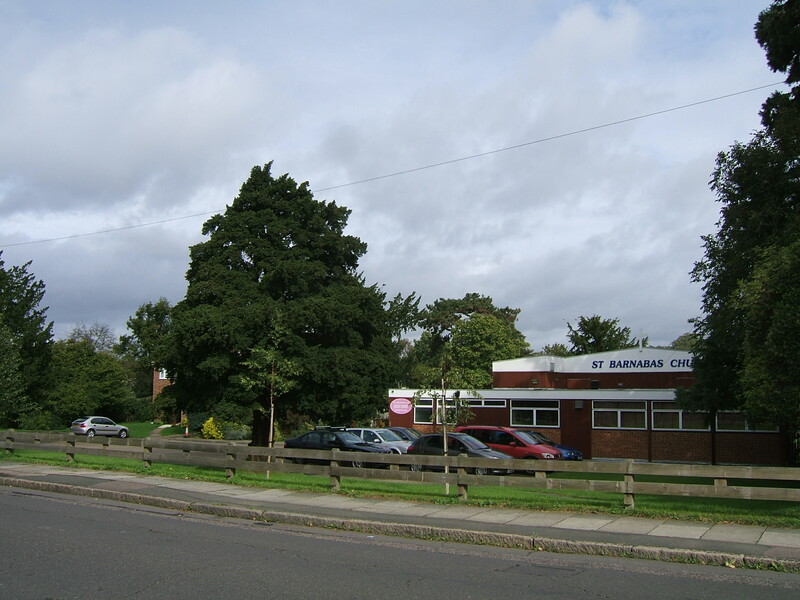 A new access route onto the site occupies the site of the North, Heath and Orchard houses and a remodeled Bracton centre occupies the area formerly occupied by the isolation hospital, sanatorium and Elmdene villa. The farm has long disappeared although both farm houses remain in for residential mental health staff as do Bracken and Sycamore houses. 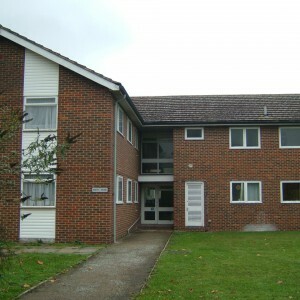 Pinewood nurses home has been refurbished and is occupied as the headquarters for the health trust headquarters. 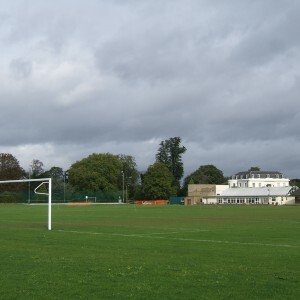 The staff club surrounding open space remains in use for local sports and social facilities. 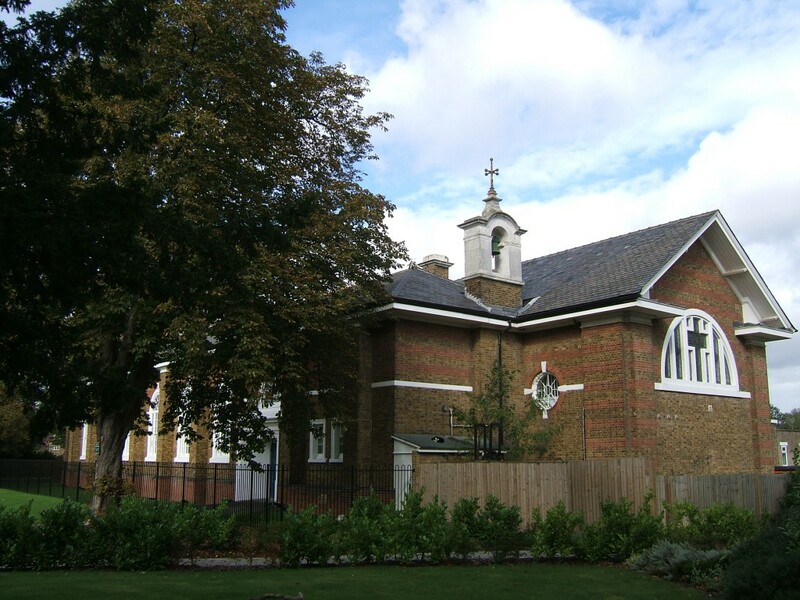 The burial ground, eventually very neglected, was redeveloped during the late 1960’s and is now occupied by a church, although trees within the grounds remain from it’s original use. 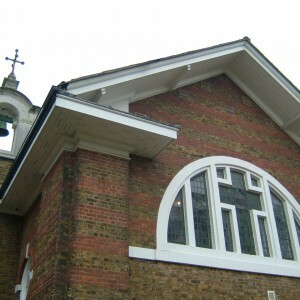 The two lodges are now private residences and the chapel is now a health and fitness gymnasium. 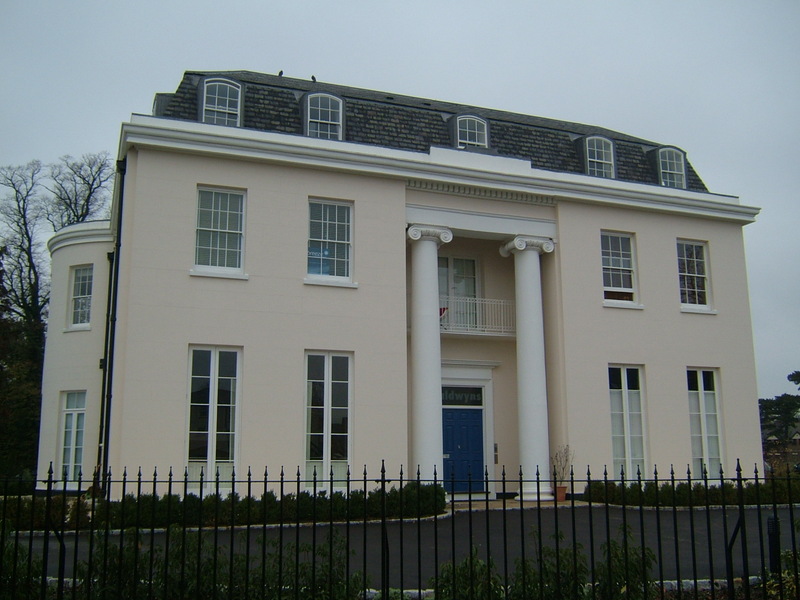 The original mansion has survived, despite dereliction and has been restored as private residential units.